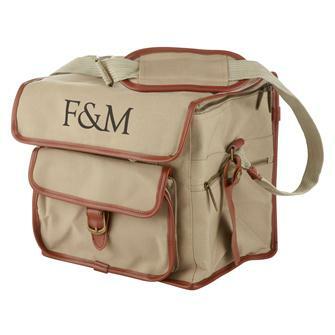 are entitled to this smart Fortnum & Mason Cooler Bag. and has side and front pockets too, for those extra bits of essential kit such as corkscrews and napkins. and the removable liner will make it very easy to clean. This is a very well-designed and indispensable picnic accessory. *min order value £1,000.00 inc v.a.t.